St. John’s is searching for an individual to fill the vacancy for the position of Minister. Our Congregational Profile is now available on line – CLICK HERE –. Interested candidates should contact Interim Moderator Robert Martin at calder.clere@bell.net. Due to inclement weather, the Teen Alpha scheduled for April 15th, 2018 has been postponed. Teen Alpha will start Sunday, May 6th. Teen Alpha is an opportunity to learn more about yourself and your part in life. It consists of videos and discussions. Did I mention, there will be desserts and drinks? Come out and bring a friend. 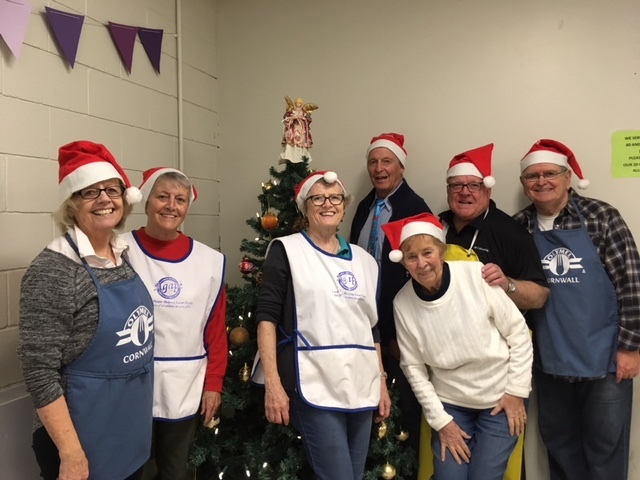 St. John’s is proud to help the Agape Centre by serving lunch on the last Saturday of every month. 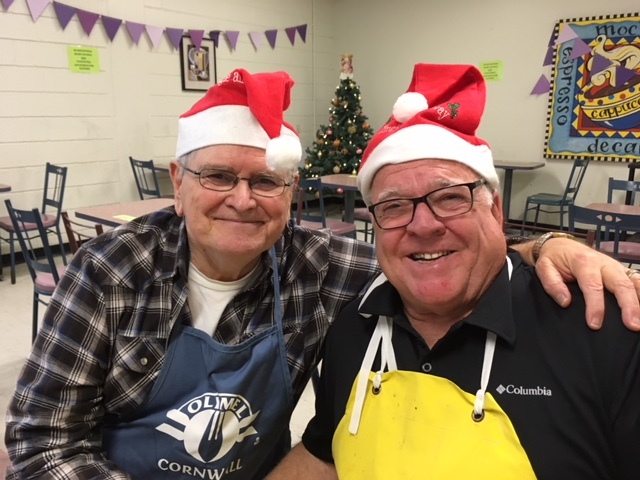 Today our St. John’s “Santas” were serving lunch on the Saturday before Christmas. 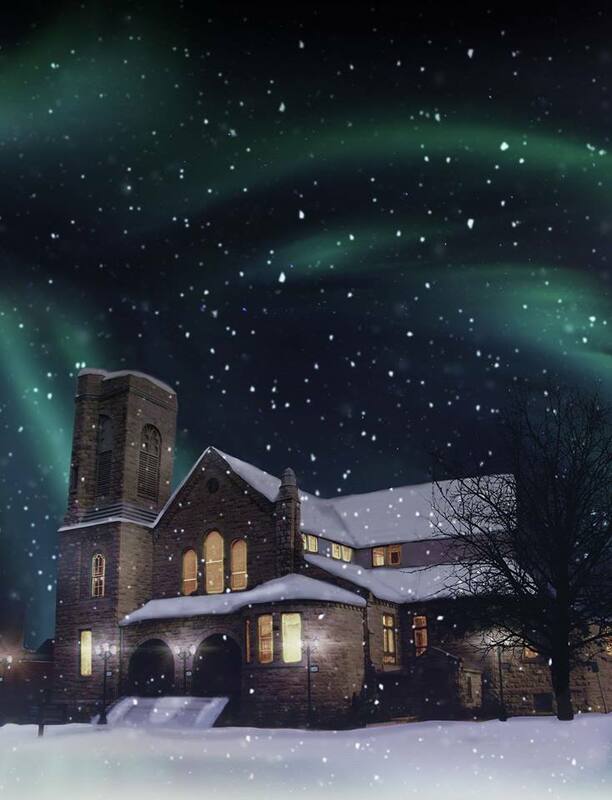 A Historic Event… Forty years ago, the Reverend Dr. Rennie, started the Christmas Candle lighting tradition at St. John’s. The Libbey family was invited to light the first candle and their daughter, Heather, who would normally be in nursery school at that time, stayed upstairs to light the very first Christmas Candle. 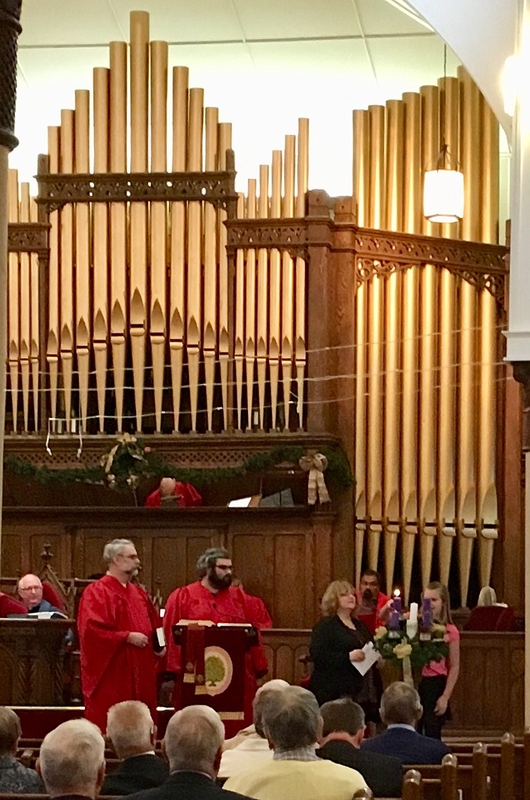 Thanks to the Reverend Ian Johnston and the Plant family, Erin Libbey, niece and goddaughter of Heather, was invited to light the first Christmas Candle this year. The Reverend Dr. Rennie, can be seen in the photo sitting in the first row. 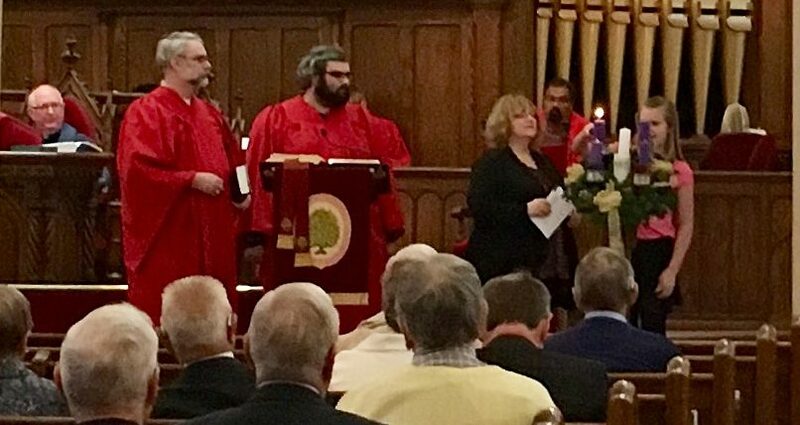 On Sunday, November 26th, 2017, 10 Elders were ordained or reinstated. 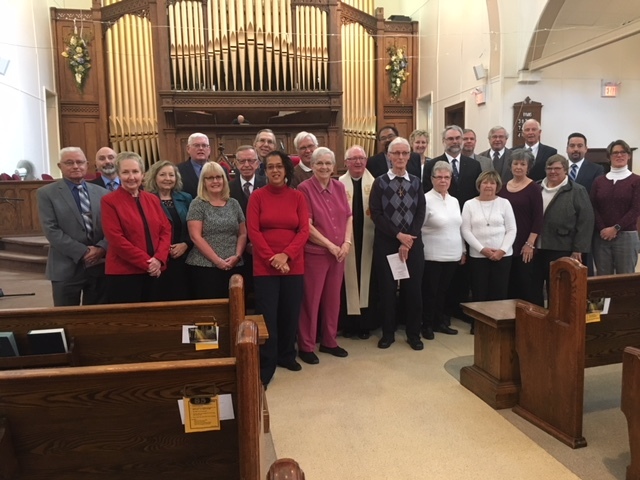 A great time for a group photo of our Elders, Minister, Minister Emeritus and Ministers in Association. Not all Elders were present but a great group photo none the less. In the interest of transparency for the lack of notice to the public and any concern/understanding that may have resulted from the removal of the cairn, we most humbly apologize. We offer the following as an explanation and outline our future plan for the site. In 2016 the Session of St John’s Presbyterian Church in Cornwall determined that the cairn at the cemetery located at the corner of Sydney and Sixth Streets had to be removed. The past winter has been particularly hard on the cairn. Action was required to ensure the safety of the public using the park to ensure children and youth are not jeopardizing their personal safety because of crumbling walls and stone despite the wrought iron fence. Over the past few years there has been major deterioration of the cement holding the headstones in place, many of the headstones were badly cracked and some of the rebar exposed. Several stones were completely broken and had fallen away. Major repairs in the 1987 has not stopped the deterioration. The fence does not prevent youngsters climbing and playing on it. Our plans were communicated to Heritage Cornwall, a committee of the city, thus exercising due diligence and careful consideration. The general condition of the cairn was inappropriate for the proper respect for our ancestors. Consistent with the Cemeteries Act of Ontario we followed our course of action on Monday recognized this obligation. Please read the attached letter below for more details on the condition of the cairn and our plans for the future.